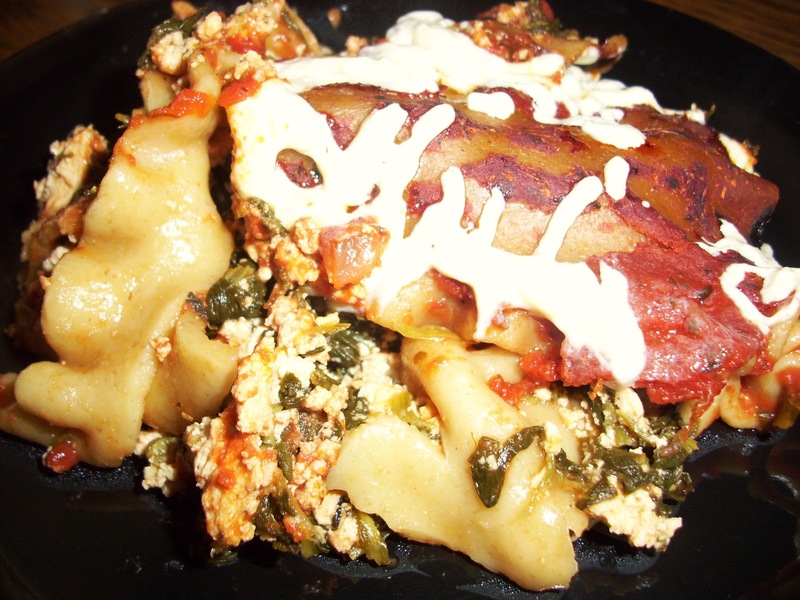 Vegan Slow Cooker Lasagna With Spinach-Tofu "Ricotta"
One of my favorite small kitchen appliances has to be the slow cooker. I use to love the feeling of throwing a piece of meat and other random ingredients together in the morning and by dinner time your house not only smelt amazing but dinner was ready and also TASTED amazing! Now that we’re on a plant-based diet, the days of throwing a piece of meat in the crock-pot are long gone. But the feeling of something amazing is still very much needed! So, it’s been a new challenge for me to find ways to make recipes minus the meat but not minus the flavor. Our days get so busy that the convenience of the slow cooker is priceless. 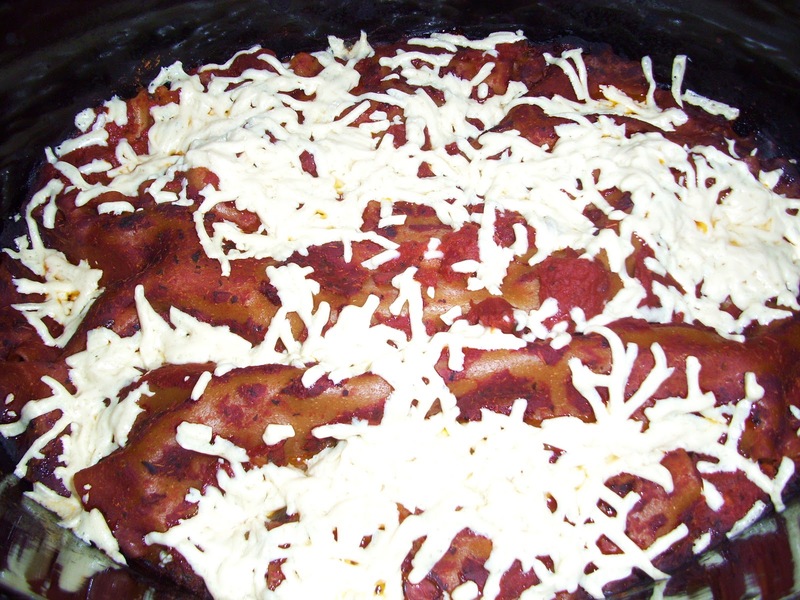 One of our families favorite recipes from the slow cooker is lasagna. I had a great Weight Watchers recipe that I recommended to EVERYONE but now it had to be re-vamped for our new lifestyle. I needed something yummy, protein packed and tasted like the original recipe. You know, the usual. I had tofu in the fridge and I remember reading about how Vegans use it to replace the “cream” or “cheese” in recipes that called for dairy. I was quite the skeptic to this but I decided to give it a try anyway. *You really could get creative here and add as many or as little veggies as you like. You can shred carrots and zucchini and cook them right in the sauce. You could replace a layer of noodles with eggplant. Add a layer of mashed sweet potatoes instead of two layers of “ricotta”. The possibilities are endless! For us, I like to keep it simple. I don’t want the veggies falling out everywhere and ending up with lasagna stew. I’d prefer to just have a salad on the side. To each their own though! 1. 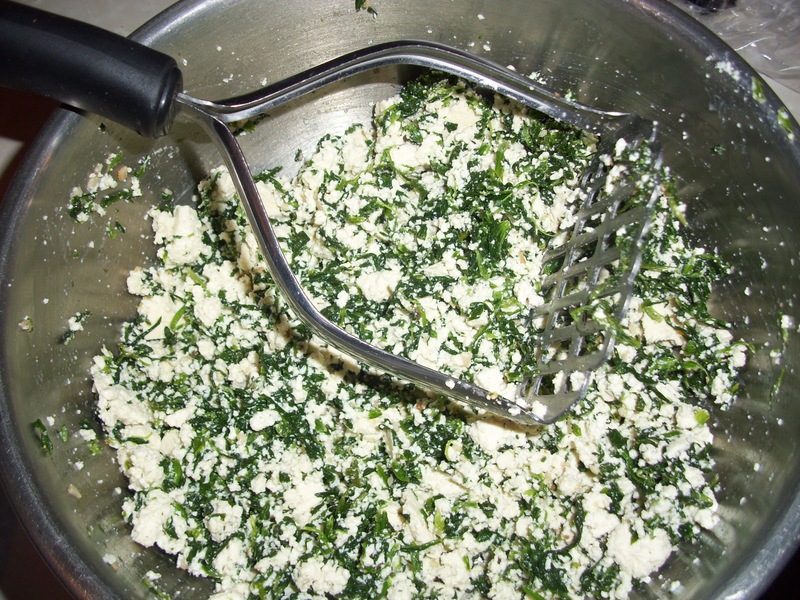 Create your ricotta mixture by using a potato masher to combine the tofu, spinach, lemon juice, garlic, Italian seasoning, nutritional yeast, Mrs. Dash, garlic salt, and pepper. 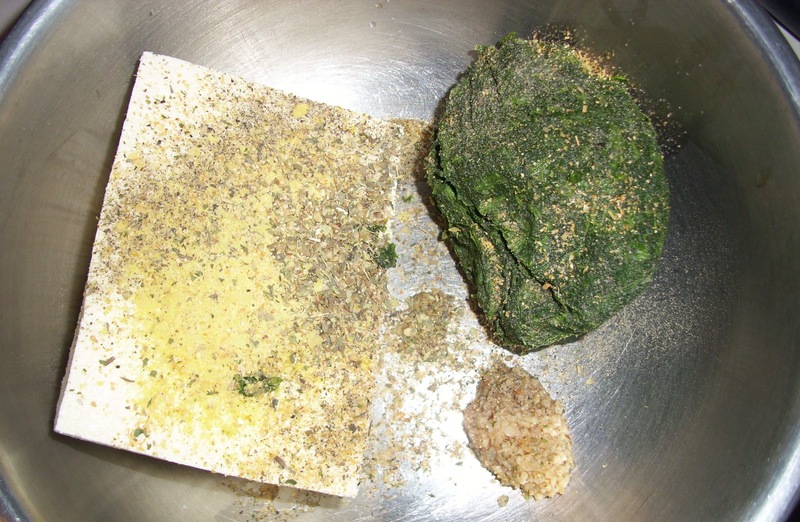 You could throw everything in your food processor to get a more fine mixture too. I made this at an early hour when my boys were sleeping so I went with the potato masher. 2. 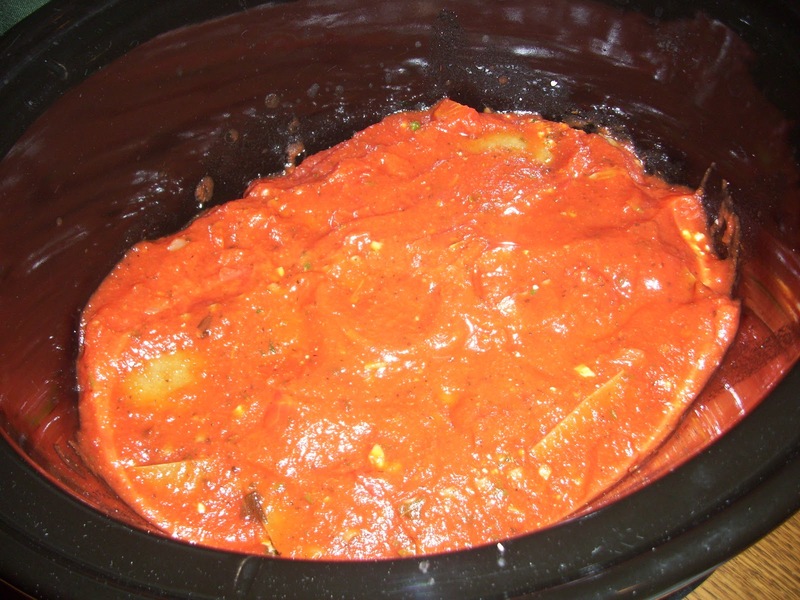 In your slow cooker, ladle a small amount of sauce in the bottom. 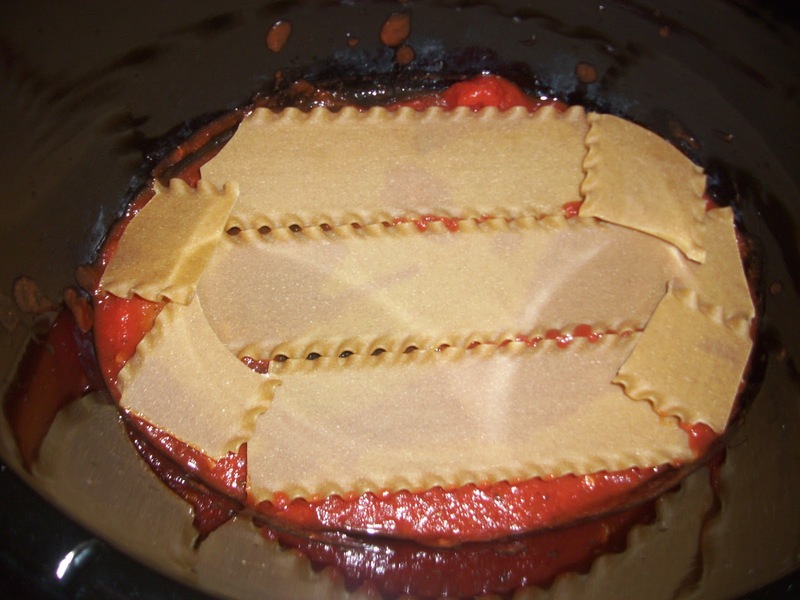 Place a layer of noodles on top of the sauce. You will need to break them to fit, but they do not need to fit perfectly. 3. Layer in a little more sauce and then some of the Vegan “ricotta” mixture. 4. Repeat the process until all the noodles, sauce and “cheese” mixture are used, ensuring that the sauce is the final layer. 5. Cover and cook on high for 3-4 hours. This cooks fairly quickly. 6. 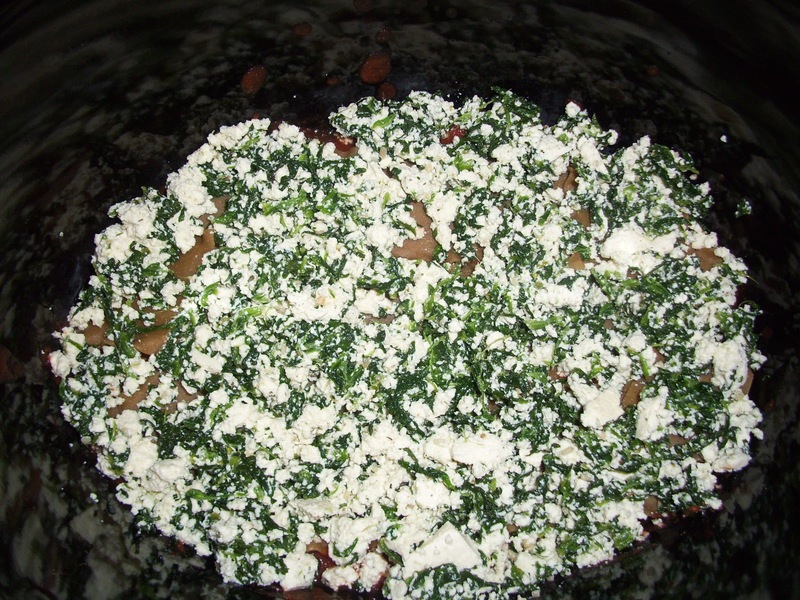 After the main cooking time, add the Daiya cheese. Cover, leaving lid slightly open and allow to melt before serving. Serve warm and enjoy! ***This dish freezes really well and is easy to reheat during those busy week nights. Next Post Vegan Las Vegas! love this recipe and have made many different variations on it since starting a plant-based diet over a year ago – tonight we're having mushrooms and red pepper added in – nom nom nom 🙂 thanks much for the recipe!